Bananas!! Welcome To Viral Games! "Peeling" Bored? Call a 45 second time-out on life and go Bananas! A simple catch game with a twist. How many bananas will you catch before your run ends? 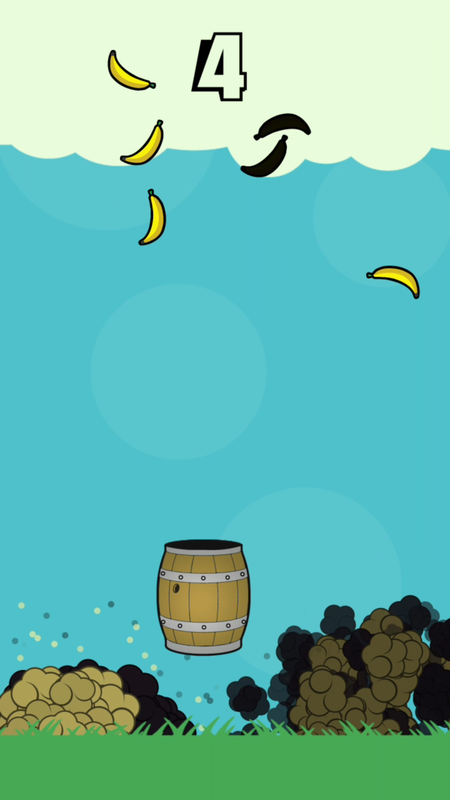 - Fun and crazy bananas! - Go on a run and get high scores! - Share your score with friends and family, or connect to GameCenter and compare your score with the world! Connect to GameCenter on IOS or Google Play Games on Android to access global leader boards and compare your score with people around the world! Barrels, Barrels, and more Barrels! Unlock and collect different barrels! 7 Bananas to choose from! With the latest update, you can choose between 6 different bananas that all have their own unique ability.